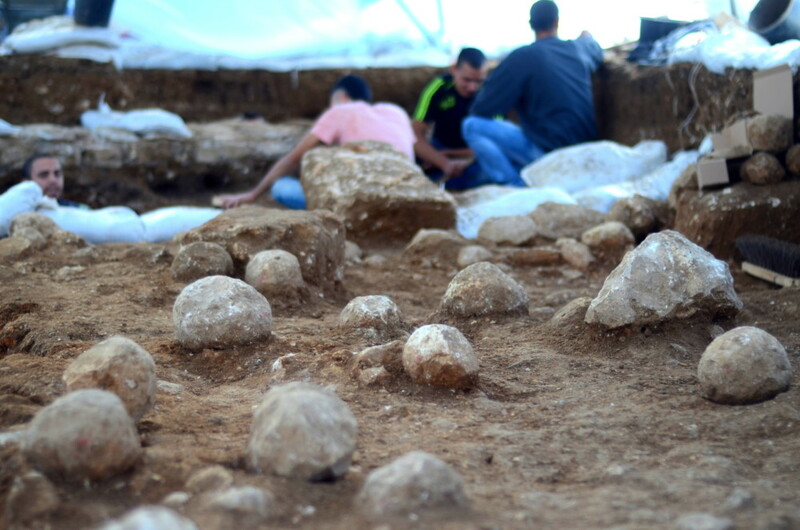 An Israel Antiquities Authority excavation last winter uncovered evidence of the point where the Roman legionnaires breached Jerusalem’s third, outermost wall during the siege of the Jewish capital in 70 C.E. That breakthrough led to the destruction of the Second Temple on the 9th of Av — a history the U.N. Educational, Scientific and Cultural Organization ignored in passing a resolution decrying Israel’s treatment of the Islamic holy sites atop and at the foot of the Temple Mount. 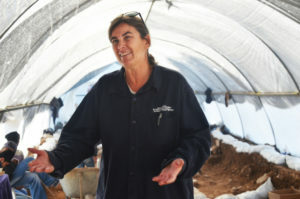 The archaeological dig took place in the Russian Compound in the city center, where the new campus of the Bezalel Academy of Arts and Design is slated to be built. Archaeologists discovered the remains of a tower jutting from the city wall. Opposite the tower’s western face were scores of ballista and sling stones that the Romans had fired from catapults toward the Jewish guards defending the wall, who were stationed at the top of the tower. The historian Josephus, an eyewitness to the war, provided details about this wall. He wrote that it was designed to protect a new quarter of the city that had developed outside its boundaries, north of the two existing city walls. The quarter was named Beit Zeita. Herod Agrippa I began building the third wall but suspended its construction so as not to anger Emperor Claudius and to dispel doubts about his loyalty. The construction resumed two decades later to fortify the city against Roman attack during the Great Jewish Revolt. Josephus said the wall began at the Hippicus Tower, which is identified with David’s Citadel, and ran north to the Psephinus Tower, which defended the northwestern corner of the city. At that point the wall turned east and descended toward the Tomb of Queen Helena, which is identified with the place known as the Tombs of the Kings. Historians since the early 20th century have argued about the exact location of the wall and Jerusalem’s boundaries during the war. The dig in the Russian Compound is proof of the wall’s existence in this area at that time. The findings are due to be presented at a conference on Jerusalem-area archaeology on Thursday, Oct. 27, at the Hebrew University.